My husband Kurt has an extreme predilection for tres leches cake. It amuses me to no end, because he is one of those savory-over-sweets person, but whenever we go to a new Mexican restaurant, he will inevitably check the dessert menu for this treat. I was therefore quite pleased to see a recipe in my Cook’s Illustrated for this dessert! I always wonder how tres leches cakes retain their texture better than other cakes that you drown in syrup/liquid and I learned that it’s due to the fact that this is a sponge cake; all those little spaces soak up the milks without turning the entire cake into a plate of mush. This recipe switches up the sponge milk recipe and uses hot milk. 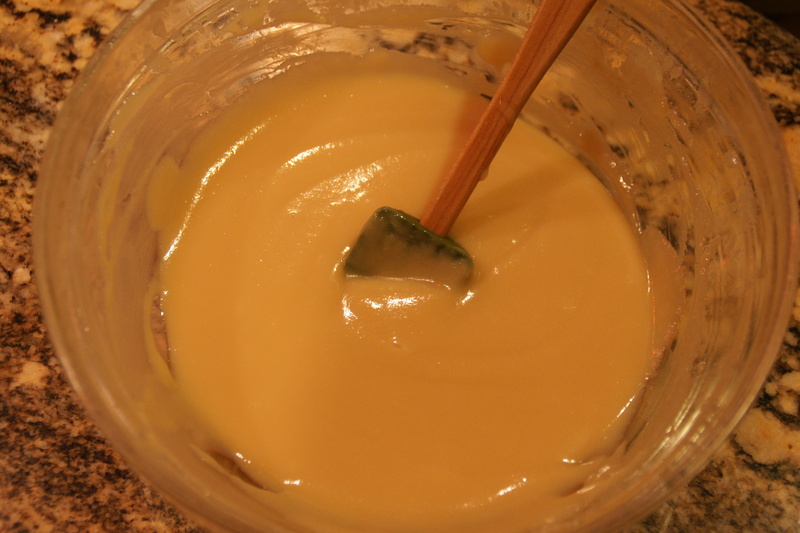 I also liked this recipe because the condensed milk (not to be confused with evaporated milk) is heated in a microwave until it is transformed into dulce de leche. 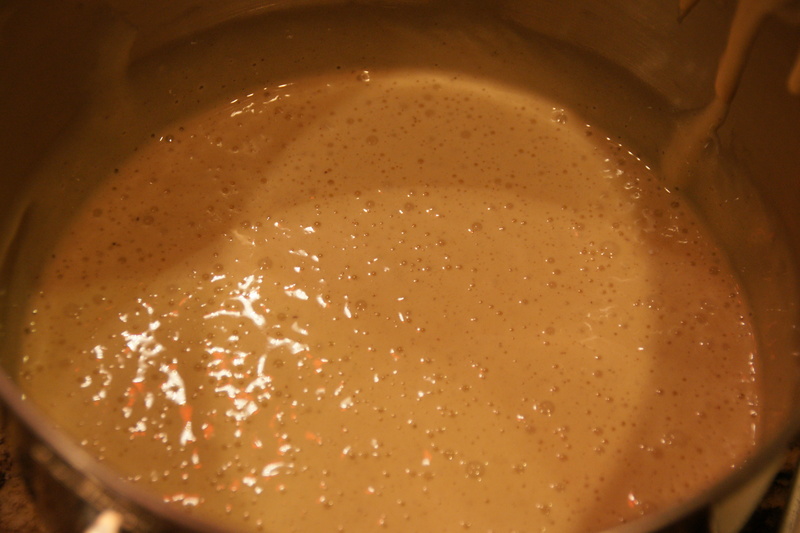 I’ve never been brave enough to boil a can of condensed milk– the preferred way to create your own dulce de leche– because of the possible explosion factor. I’ll definitely be using this technique in the future for other recipes! There are several preparation steps, but the cake is similar to any of the “poke cakes” that have become popular. The only last minute step is frosting with the whipped cream; it’s better to do this just before serving so the topping doesn’t break down and liquefy your cake. (You can always stabilize the whipped cream, but that’s another blog post). 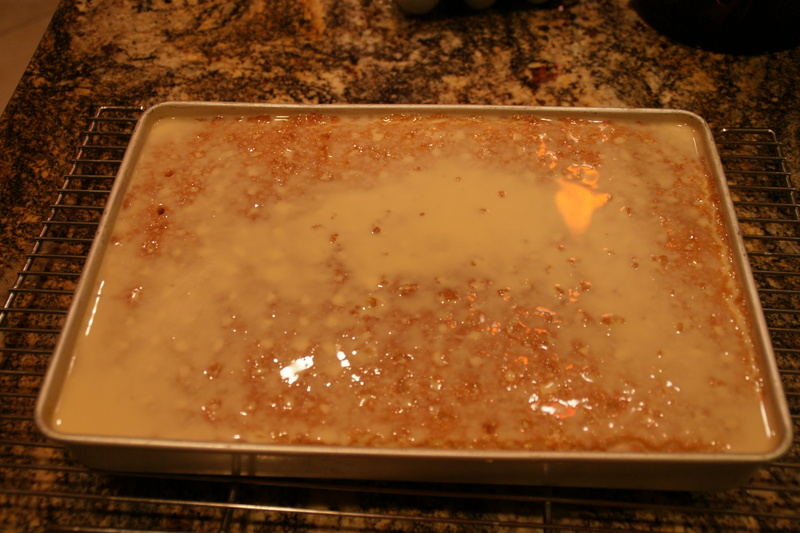 Grease and flour a 9×13 cake pan. Preheat the oven to 325 degrees. 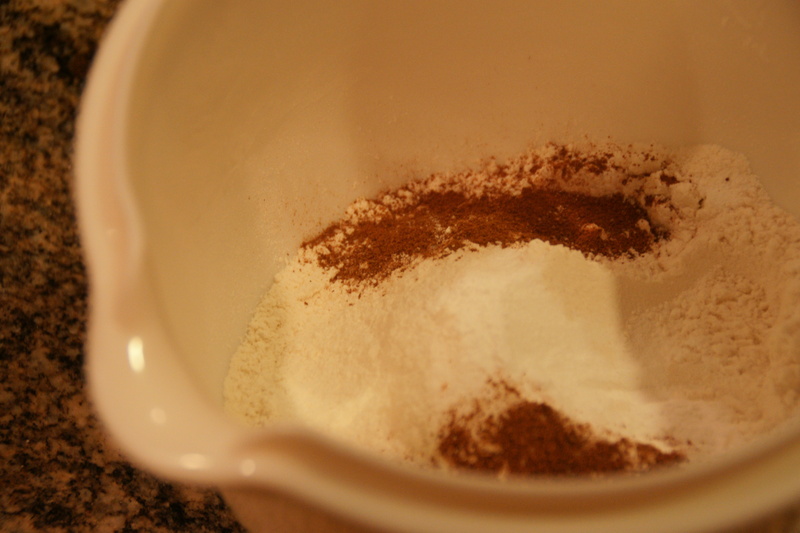 Whisk the flour, salt, baking powder and cinnamon together in a bowl. Set aside while you make the soaking liquid. Prepare the tres leches soaking liquid by pouring the condensed milk into a microwave safe (heat proof) bowl. Cover loosely with plastic wrap (don’t stretch it tight across the bowl) and microwave on low (for me this was level 3) for 3-5 minutes intervals, stirring and replacing the plastic wrap after each interval. Make sure you keep an eye on the milk; the plastic wrap expands as the milk boils and can spill over if you haven’t sealed the wrap around the edges well (yes, this happened to me). 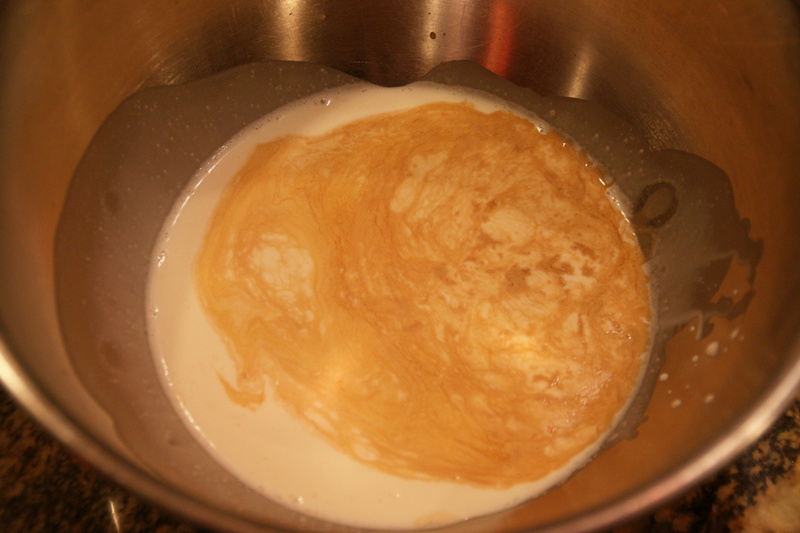 Continue heating the milk until it has thickened and is light brown. 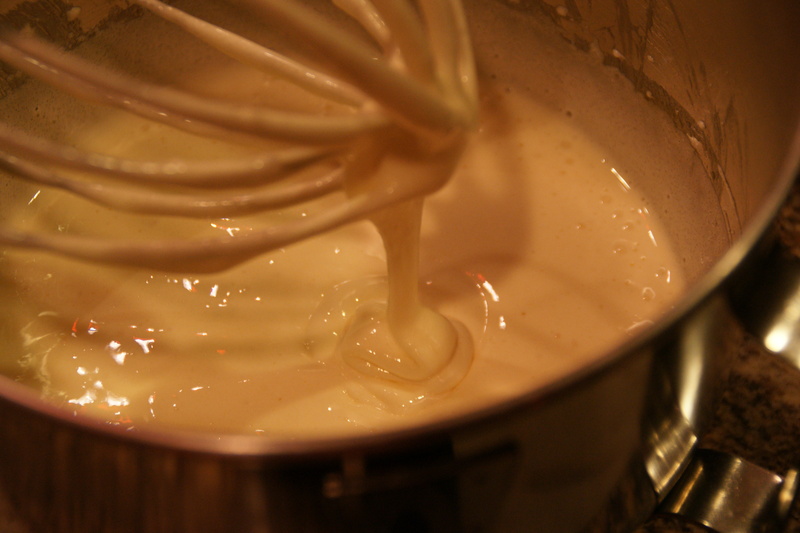 Slowly whisk in the cream, vanilla and evaporated milk; set aside to cool to room temperature while you make the cake. 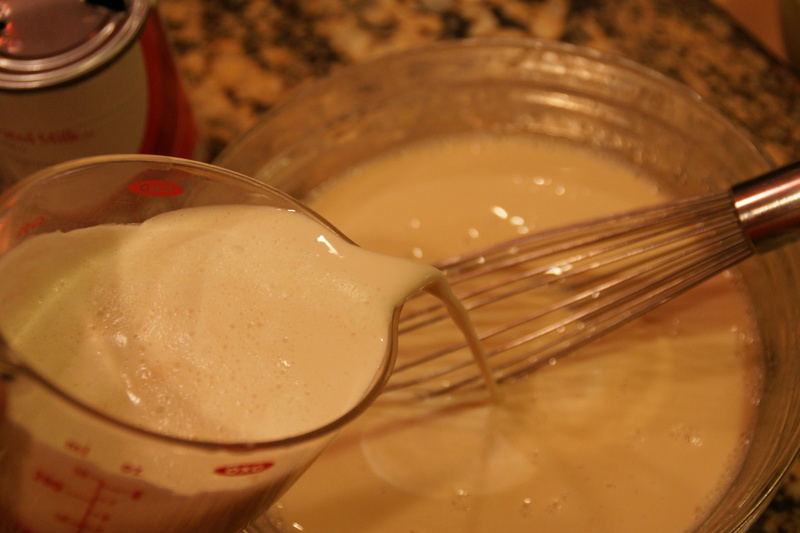 Whisk thoroughly; there are three different consistencies of milk that need to become homogenous! 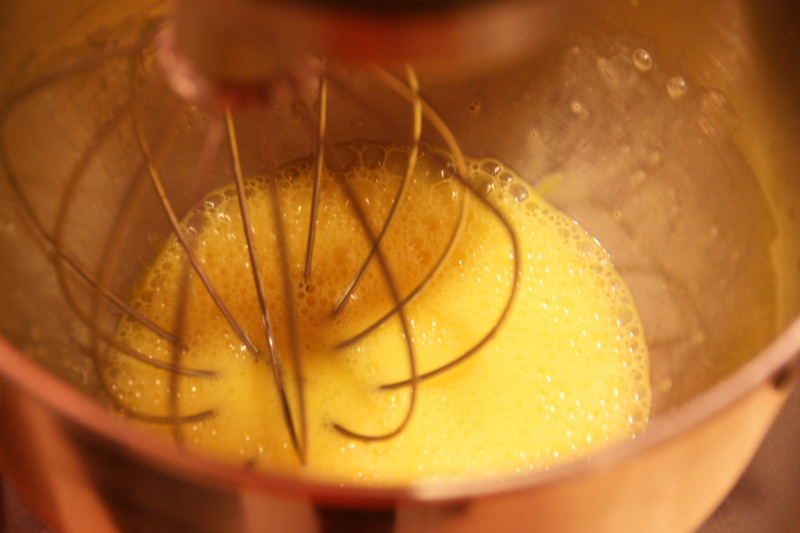 Place the eggs into the bowl of your stand mixer with the whisk attachment. The sugar will dissolve more easily if the eggs are frothy vs. unbeaten. 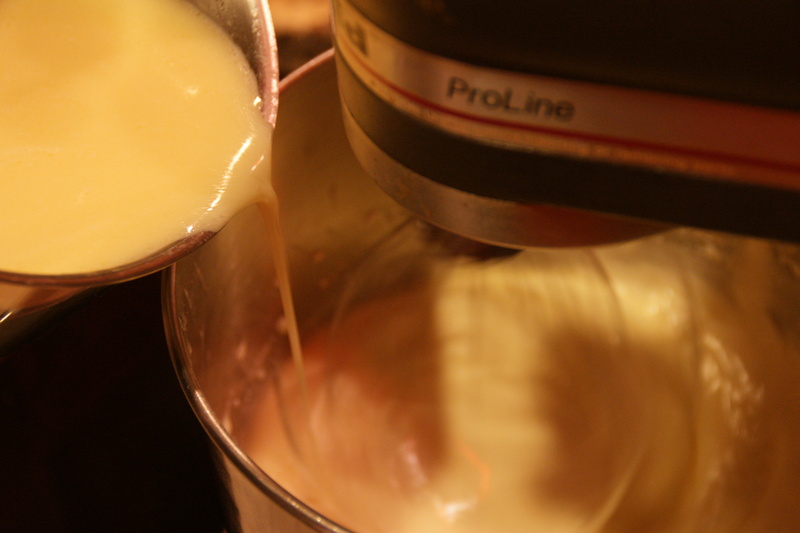 With the mixer on medium, gradually add the sugar until incorporated, then beat the mixture on medium high until the mixture is pale yellow, thick and glossy. This will take from 5 to 10 minutes. While the mixture is beating, heat the milk and butter in a small pan over low heat until butter has melted the mixture is hot. Remove the mixture from heat and stir in the vanilla. 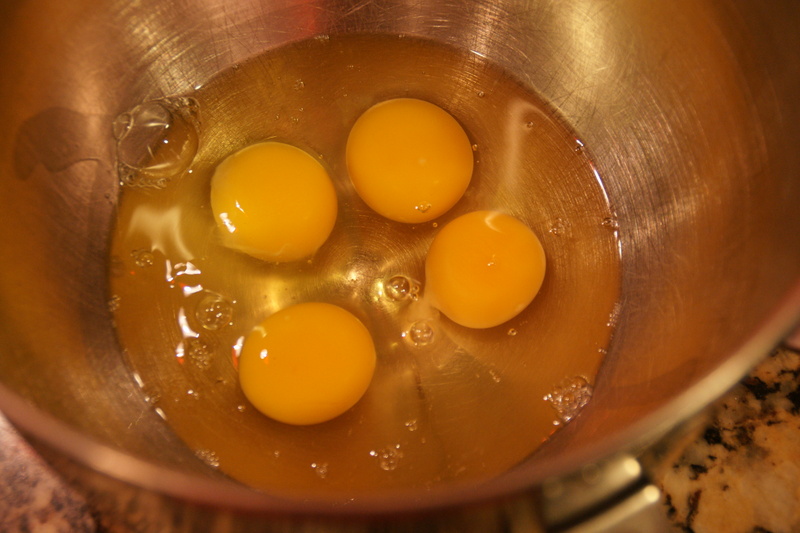 When eggs are ready, reduce the mixer to slow and add the milk/butter mixture. 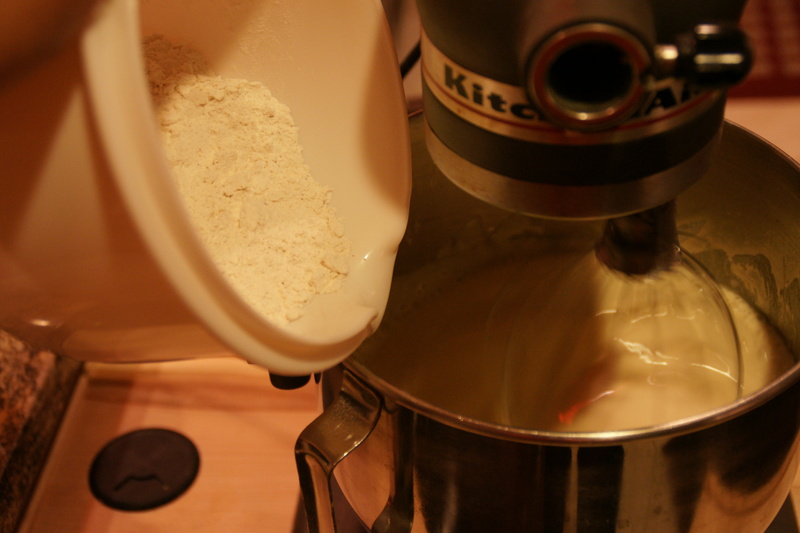 Add the flour mixture in three parts with the mixer on medium speed. I actually have a collar attachment with a pouring chute for things like flour, but I’m too lazy to put it on; I just make a mess instead! Scrape down the sides as needed. 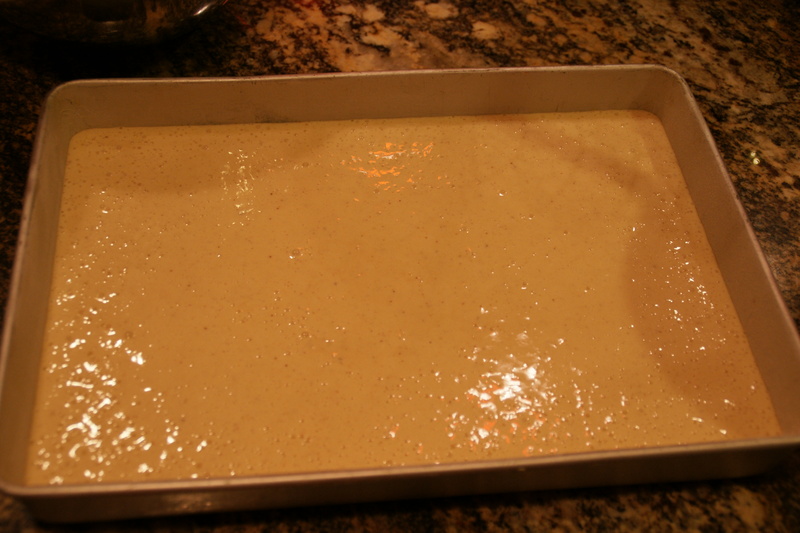 The batter is very loose (looser than I expected, so I had a slight panic attack, but kept moving forward). All those little bubbles are a good sign! Pour the mixture into your prepared pan and bake for 30 to 35 minutes in the preheated oven. I’m even more skeptical about the batter once it’s in the pan! 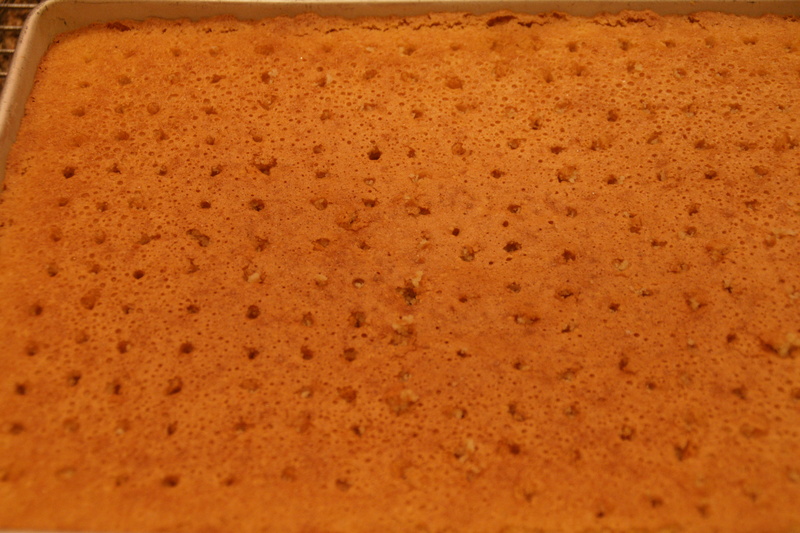 The cake is done when a tester inserted in the center comes out clean. Cool the cake in the pan on a wire rack for 10 minutes. Unjustified skepticism. The cake baked beautifully! 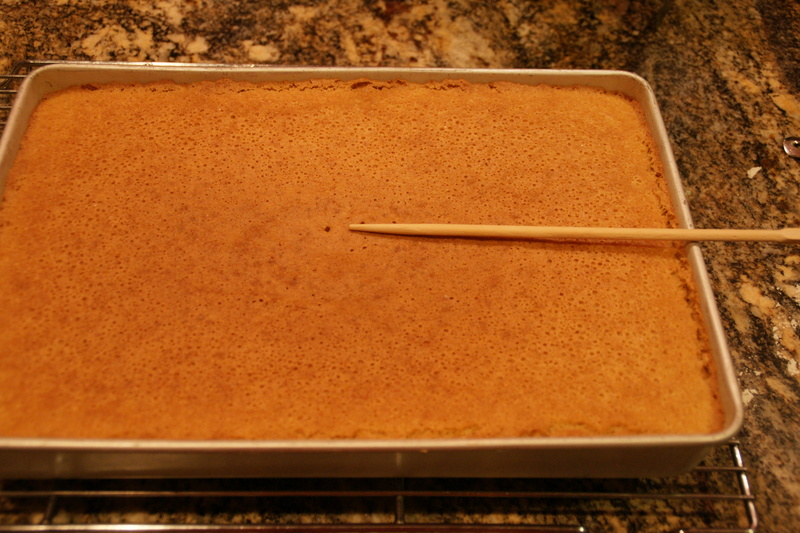 After 10 minutes, use a wooden skewer (I had a chopstick) to poke holes on the cake surface, spacing them about 1/2 inch apart. 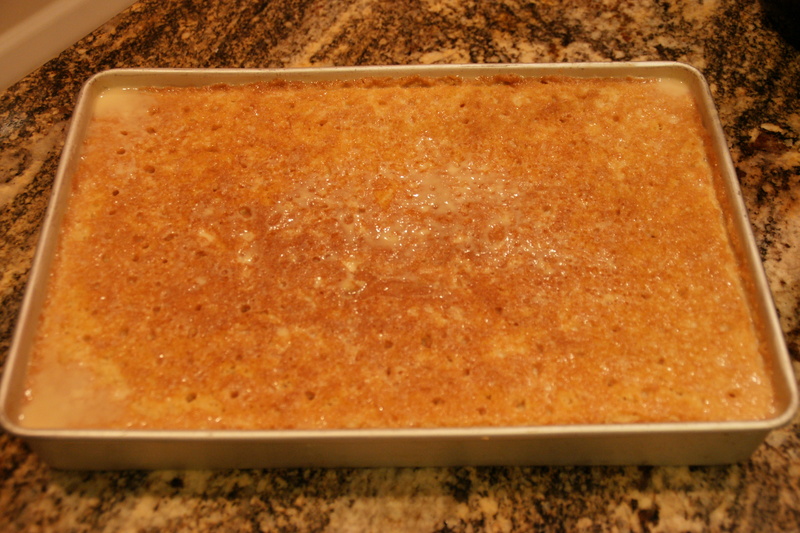 Pour the tres leches liquid over the cake and let sit at room temperature for 15 minutes. Cover and refrigerate from 3 hours to overnight. This is when panic attack #2 began– so much liquid! 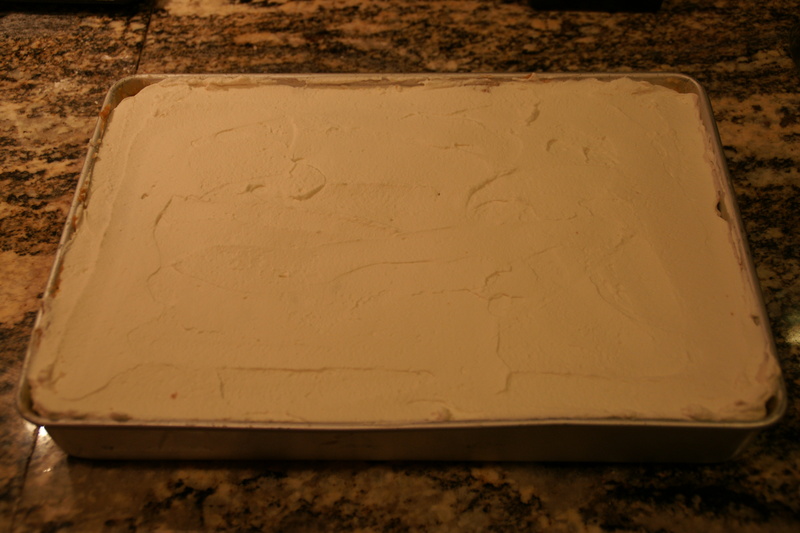 About 30 minutes before serving the cake, remove the cake from the refrigerator. Whip together the cream, corn syrup and vanilla until stiff peaks form. Corn syrup instead of sugar…not sure I’ll stick with that next time! Spread the topping over the cake. I was nervous when I removed the first slice out of the pan; my fear was yellow milk-flavored mush (like bran cereal that’s sat too long in milk). O me of little faith! The cake was not only stable, but moist and milky-sweet. My guys loved it! Why do I doubt you, Chris Kimball? Your recipes never fail me. 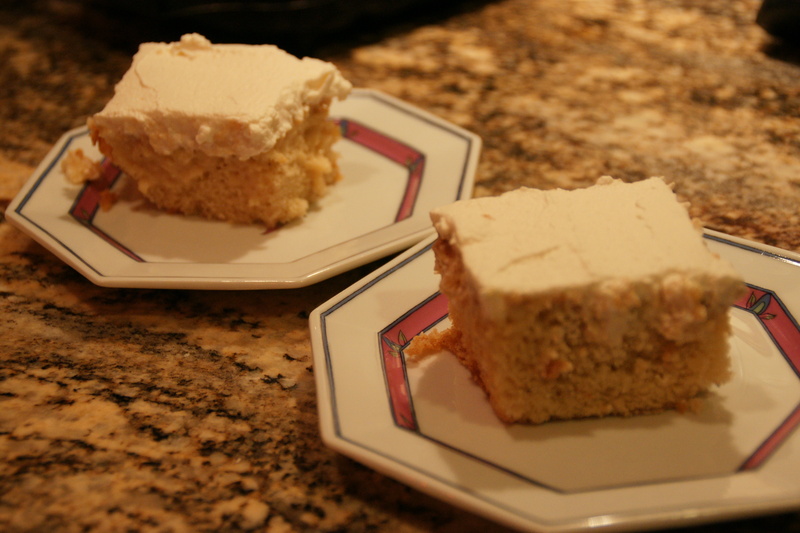 This is a fabulous tres leches cake! Thanks for the tip! It’s a great cake! Thanks so much for posting this. I’ve always wanted to try making tres leches and given searched for recipes. (There are a lot of them out there.) I watched the Cooks Illustrated episode and decided I had to try it. Way too much cinnamon! I don’t believe this is the actual recipe from cooks illustrated. I’ve made that before and it was way better. 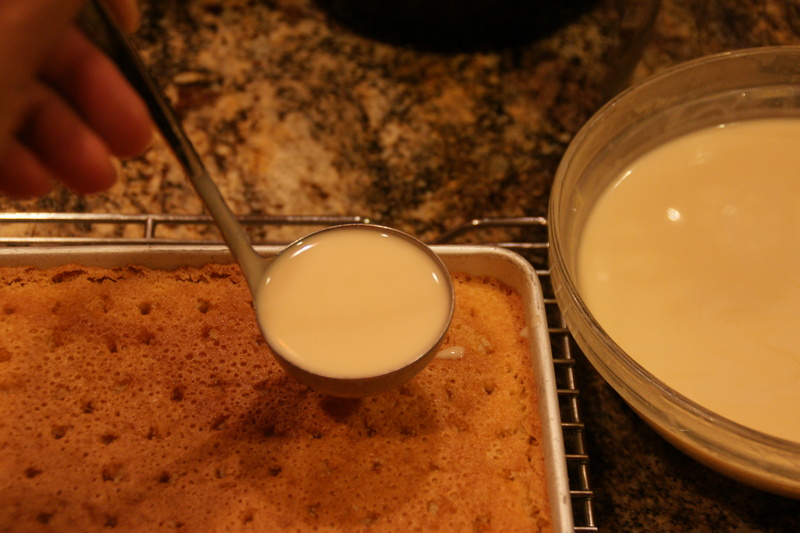 And why did I have to stop making the cake to get the tres leche soaking liquid ready? The order didn’t make sense. It is indeed from a special edition CI issue on Mexican cuisine. You can change the order to suit your own methods, but when I blog, I follow the recipe unless I say so up front. To each his own! Happy Baking!